It’s easy to make envelopes out of maps, photos and wrap with our envelope liner template! Choose your envelope size – 6 envelope sizes are included in the template kit. 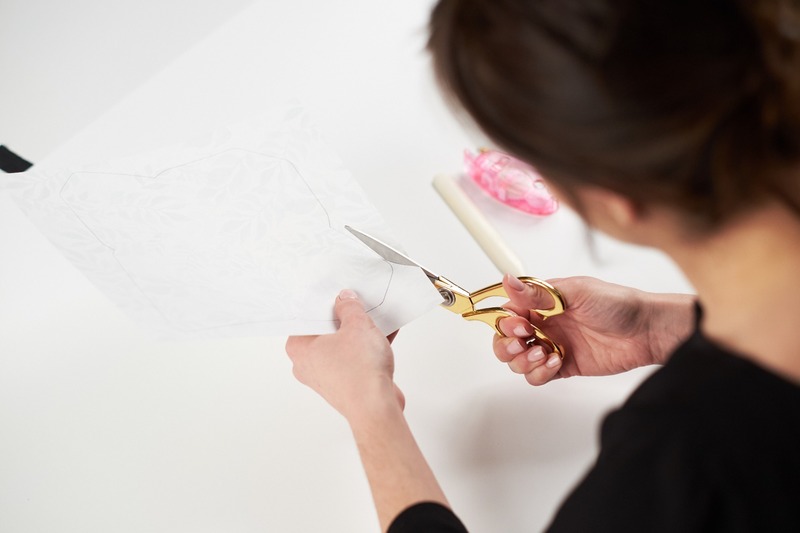 Trace the outer edge of the template onto the paper of your choice. Score fold lines along the inner grooves of the template with a bone folder. Cut along your traced lines. Run strips of adhesive along the sides of the bottom flap, making sure not to put adhesive on the top flap. Fold the bottom flap up to seal. Bonus: Watch the envelope lining video to learn how to line your envelopes.